I guess I should start with an apology for being a bit rubbish with blogging last week: having only started Small Town Threads the week before with such gusto & high hopes of regular blogging, I found it had to take a back seat, mainly due to our new baby, Sylvie, our 8 week old mini schnauzer pup… but also because I hit a bit of a fashion-flat. So, onto my bomber. 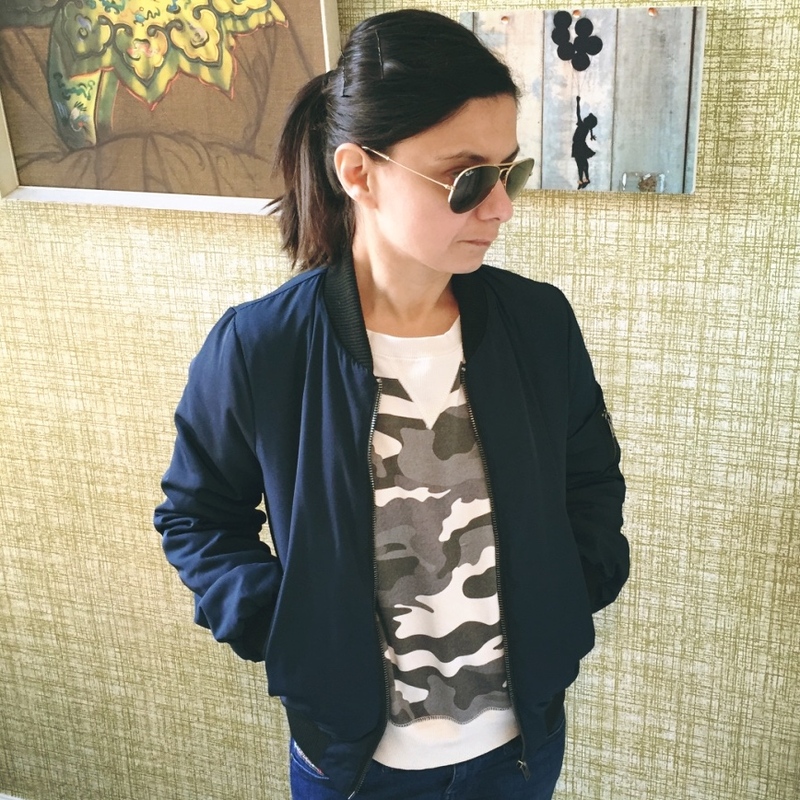 There is nothing more I can tell you about the history of a bomber or souvenir jacket as well as Flic, over on Love a Good Stripe (if you haven’t read it, its a most fabulous blog): she covers it all. And whats more, she’s a girl after my own heart: she admits to being a bit of a tomboy plus has a thing for menswear. That could pretty much describe me… However, unlike Flic, the bomber does not have my heart. 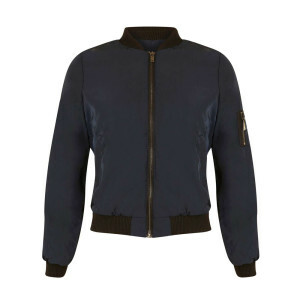 Rather hastily, because I was in an actual Miss Selfridge shop and could actually (actually) walk out with a bomber in my hand, like… you know… there and then: I bought the Miss Selfridge one. I imagined it would be great for puppy walks on the green at the back of my house, and even a bit waterproof perhaps during any April Showers; also great for the afternoon school run, when everyone else is just in a long sleeved breton, but as I alway feel the chill, the bomber would be a perfect little throw on for me, right? Wrong. 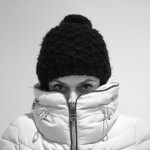 Since buying this jacket and bringing it home, I have only pulled it out of the bag once to show my partner. He thinks it looks nice and that I should keep it “its just £39. you’d spend £20 on train fare or petrol if you wanted to return it”. And that folks, is my problem. He’s right… there’s no real financial point in returning the jacket which, when you haven’t got much of a budget is a real bummer. However, my heart isn’t in it. It doesn’t make me feel good… I feel like I am pretending to be a kid in it (though not as cool as the child Natalie Portman wearing a bomber as Mathilda in Leon: The Professional…), and then, of course, there’s no escaping that from behind I could be mistaken for a teen: a good thing? Not so much really, as on turning around, the truth would soon be seen: not a teenager AT. ALL., rather a near-geriatric old hag! 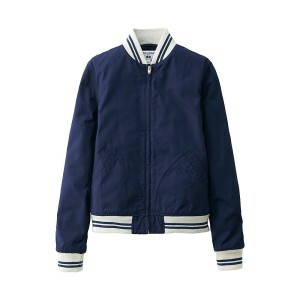 I have convinced myself that it is the style of the bomber that is the problem; I’m convinced that the Uniqlo jacket would have been more “me”. Well, with sods law in mind, the time I have spent moping over my hasty purchase has meant the Uniqlo size xs has sold out. And the lessons learnt? Remember who I am; remember what suits me; remember what suits my life and most importantly, remember I’m not a kid anymore! I am still hoping to return the jacket if I pass by a Miss Selfridge in the next couple of weeks, even if I have to spend half the cost of the jacket on train fare… no point in keeping it if I’m not going to wear it: what do you think? Thank you Lizzy for your support, it means a lot. I’m still dithering over what to do, whether its worth the train /petrol money to return etc, but having not made many purchases in the past few years, I made a bit of a school girl error, and there’s nothing like learning from one’s mistakes, eh? Loved reading this blog post!!! We should aim for the things in our wardrobes to be pieces that WE love and then cheer on others for their individual wardrobe choices. Ok, the sensible words of wisdom are now over and done with! I’m throwing a huge spanner into the works…… I loved you in the bomber jacket and thought you looked great. Eeek…..sorry! You’re most welcome for the mention, I love the way you talk about fashion history in your posts and what individual pieces really mean to you. And thank you for saying I look great in the bomber, I kind of agree, the jacket looks ok, I’m just not certain about how I feel about me wearing it…still dithering, always dithering… !! Thanks Soph: I’ve been plotting & scheming similar ideas, but with the new pup, it’d be tricky to do within the allowed 28 days return (more drama!) so sadly, I may have to settle for a solo-trip,somewhere a little less cultural than London but that I can to & back from relatively easily… I can’t justify spending £40 on train fare to return a £39 jacket. Oh the pain… !! This really resonates with me. I buy things which are “nearly right” but in my heart of hearts I know its “really not right”. I’d try to swing past a shop (I know it’s costly and not easy) but ultimately, despite the cost of the train fare, you might find something else you like for £40 and the train fare can be treated as a “day out”. And as a side note, you actually look good in the bomber you know. But don’t let that sway you!! Anyway, just wanted to say, I’m enjoying the blog – I feel like I know where you’re coming from and blogging can be a lovely little outlet and a place to make new friends! Nice to make your acquaintance Bean! (love the name).